Imagine, one morning, you wake up to the news that His Excellency President Peter Mutharika, has just announced his resignation, with unspecified reason, from both the presidency of the Democratic Progressive Party (DPP) and the state and has already tendered his thoughts in a letter addressed to the Cabinet. Not only that, but you also learn that he has already sorted out his personal effects and the same afternoon he will be flying back to America, to continue with his own life. What would it feel like and what would be your first reaction? There will be confusion, sadness and happiness. The confusion would be of different levels. First, it would the anxiety of being abandoned. Second, it would be the searching for answers of what has led to the resignation of the president. Third it will be, the jostling of who would be the next leader. If we look now at what happened to our friends in Zambia after their President Kenneth Kaunda offered to resign. The event in Zambia is captured in a book titled ‘The Night without a President’ by former Zambia’s member of Parliament Sikota Wina in Kenneth Kaunda‘s (first Zambia president) government. In this book, Wina shows how during a National Council party conference held at Chilenje Hall, Lusaka, on the eve of February 5, 1968, hell broke loose. That only event was enough to plunge Zambia into untold trouble. The history of Zambia was to be changed that night as Kaunda had honestly offered to resign as president of Zambia. What happened for Kaunda to offer to resign? It was the long-concealed tribal differences that finally surfaced and erupted violently during the party conference. The top party leaders in the meeting argued for or against equal tribal representation not only in the party committees but also in civil service as well. The sudden eruption of the tribal conflict among the top party leaders shocked the religious and ardent humanist president Kaunda. He got confused at the whole scene and failed to understand where the strong unity that existed in the party had gone. Kaunda could hardly understand that he had all along leading a fragmented political party which by face looked so humble and unified. The bomb finally blasted: From that event, Kaunda concluded that there is no longer need to remain a leader of a party whose members placed much importance on sectional interests at the expense of national unity. Upon consultation with the Attorney General, Kaunda abruptly interrupted colleagues in the middle of near-fight quarrels and expressed disappointment about the direction the conference had taken. And then, as if to crown everything, he announced to the party of his immediate intention to resign from the presidency on the spot. After that, he happily walked out of the conference hall, feeling convinced that he had done the right thing and the decision was as his judgment dictated, sound and final. All that remained for him was the peaceful transfer of power to whoever the people would choose to replace him. Meanwhile, he proceeded to sort out personal effects in readiness for his eventual departure from the State House. Left behind was a stunned delegation, embarrassingly chasing for words of reconciliation with the outgoing president; a man who had worked tirelessly to maintain national peace and harmony. Some members of the delegation hardly avoided wailing while others sobbed like little children. After feeling giddy, one of them even collapsed. The conference hall became a funeral with everyone having eyes soaked in tears of regret. Kaunda had for that night really resigned. Everybody concerned became so repentant, having part and parcel of the catastrophic manoeuvre. And as Zambia’s unity hung precariously on a breaking shoe-string, delegates and those who were informed about the situation, panicked. The only sensible thing that the delegates could do was to try to dissuade the president from effecting what they deemed as his catastrophic decision. They exactly did this. To achieve their objective, they mobilized the religious leaders as well as the very close personal friends of the president to convince him back. All the general commanders of the armed forces as well as others of exceptional brain-power were summoned to State House. After all the efforts to see him back were exhausted, Kaunda finally gave in to the collective wisdom and rescinded his decision to quit. But before that, the delegation needed to promise him unbroken unity ‘One Zambia, One Nation’, as originally designed. What are we trying to learn from this Zambian incident is not what caused the president to offer to leave office. The interesting part of the incident is not the disunity that straddles many Malawi political parties. The interest in this Zambian case is simply how political parties prepare for succession of leaders, especially the president in the interim of elections. It is very clear, many political parties, not only in Malawi, avoid the topic of succession. The party members only wait for the actual time of elections. When the actual time comes it is when unnecessary confusion erupts. In Malawi, the topic of who will succeed Kamuzu Banda was avoided ostensibly due to the system of government at that time. But in a democracy, political parties are also struggling to discuss the topic of succession. For example, there was confusion in the United Democratic Front (UDF) on who would succeed former President Bakili Muluzi. 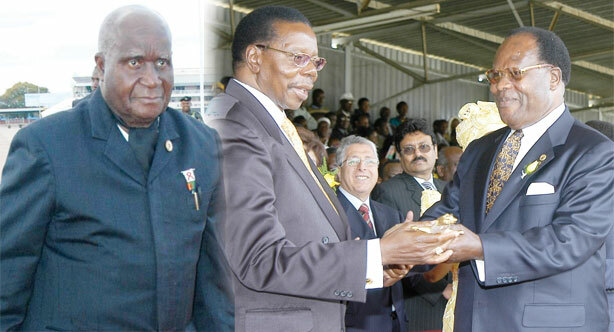 The topic of Muluzi’s successor utterly confused the UDF. Resignations of top party leaders followed when it was announced that it was Bingu wa Mutharika who was earmarked to succeed Muluzi. Then, Bingu wa Mutharika was in the category of failed politicians, who many thought had no charm to lead UDF to a third victory in the 2004 General Elections. In the event of Bingu wa Mutharika’s possible end of second term in power, the topic of succession in the Democratic Progressive Party (DPP) also started rearing its ugly head. Only that the topic was cut off after the sudden death of the incumbent president. But we never know how would it be like and what disenchantment would follow in the party, if Bingu had openly declared support for his brother, Peter Mutharika, as his rightful successor. Now, in UDF, if Atupele Muluzi is the last Muluzi to lead UDF, thinking there is no other well notable Muluzi, the topic of succession is still avoided in the party. Even DPP now cannot dare discuss Peter Mutharika’s possible successor. Knowing quite well that members of political parties go to national conventions knowing already who will be their next leader, it can help parties to dare incumbent presidents now and discuss their successors. It has been dangerous to tread on the topic of course. Eventually, members of Malawi political parties go to conventions to elect either the Muluzis or the Mutharikas or the Chihanas as party presidents. Maybe, if political parties dare the tradition and start discussing the topic in the interim of elections, it can help. If this cannot help, still, some dimensions of democracy will grow.